The Queen Mother Champion Chase has one of the biggest prize purses of the Cheltenham Festival and it’s also one of the more exciting chases over the four-day festival. With 12 fences to be jumped, the quality field takes flight over the new course at Cheltenham and punters have been treated to some champion winners in recent history. Sprinet Sacre, Altior and Master Minded are just a few recent winners of this great betting race. The Queen Mother Champion Chase is the first race run on Day 2 of the Cheltenham Festival. That falls on Wednesday March 12, 2020 and the official starting time is 3:30pm. The Day 2 card also includes the Novices’ Hurdle and RSA Chase at Grade 1 level. 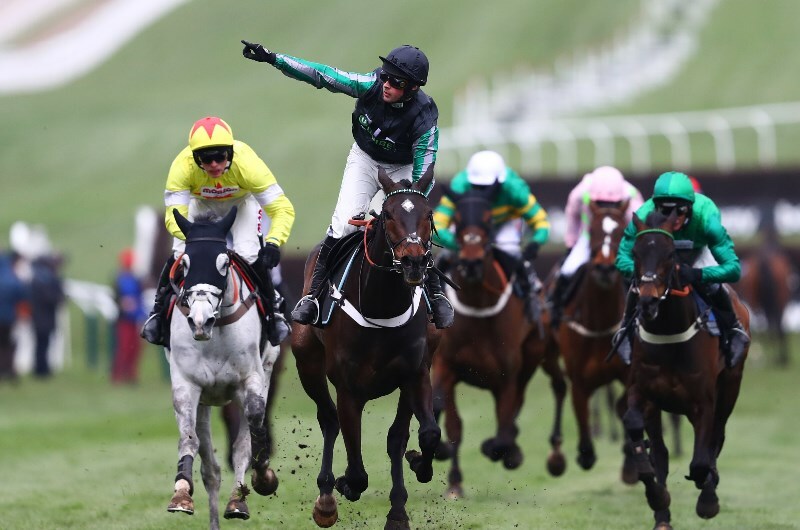 We have 2020 Queen Mother Champion Chase tips available. There have been plenty of dual winners of the Queen Mother Champion Chase and 2018 champion Altior will be looking to add his name to that list. Recent dual winners have included Moscow Flyer, Master Minded and Sprinter Sacred. The past winners list is a who’s who in the chasing world and it always presents a quality field with quality winners. The first edition of the Queen Mother Champion Chase came in 1959 when the Dan Moore-trained Quita Que took out the feature at age 10. It would be the only Queen Mother Champion Chase victory for both trainer and jockey Bunny Cox. Since then, there have been many dual champions of the Queen Mother Champion Chase. A total of 12 horses have won the race more than once, including Badsworth Boy which scored three consecutive wins from 1983-1985. No horse has been able to repeat the feats of Badsworth Boy, who was trained by Michael Dickinson and ridden by Robert Earnshaw in all three victories. Originally called the National Hunt Two-Mile Champion Chase, the Queen Mother Champion Chase was given its current title in 1980 – the year of the Queen Mother’s 80th birthday – and it was given as a recognition of her support of jumps racing. The Queen Mother finished second in the race with Game Spirit in 1976. Having gone without a sponsor for many years, Sportingbet took over in 2011 and it’s currently sponsored by online bookmaker Betway. Trainer Tom Dreaper holds the record for most wins with six. He was successful with Fortia, Ben Stack, Flying Bolt, Muir and Straight Fort. Two jockeys have shared five wins a piece. Pat Taaffe was successful aboard most of Tom Dreapers’ winners and fellow jockey Barry Geraghty has had the most recent success. Punters have made a killing off Geraghty in recent times with wins aboard Moscow Flyer, Big Zeb, Finian’s Rainbow and Sprinter Sacre. Trainer Nicky Henderson has had plenty of recent success with wins coming from Finian’s Rainbow, Sprinter Sacre and Altior. The 2019 Queen Mother Champion Chase was taken out by Altior for trainer Nicky Henderson and jockey Nico de Boinville. It was the second consecutive win for Altior in the Queen Mother Champion Chase.